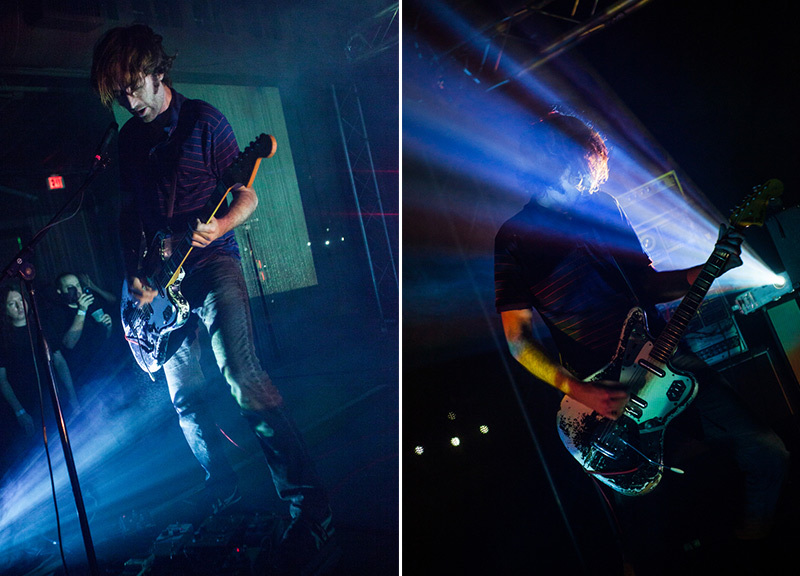 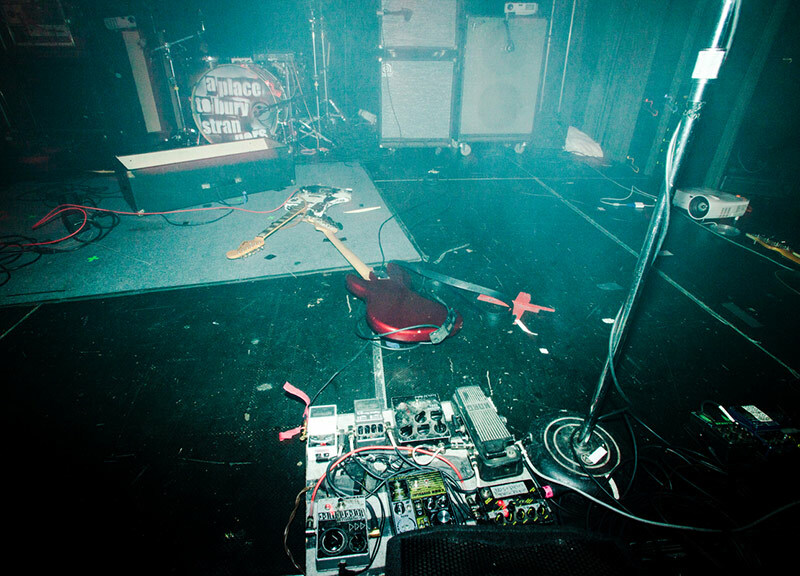 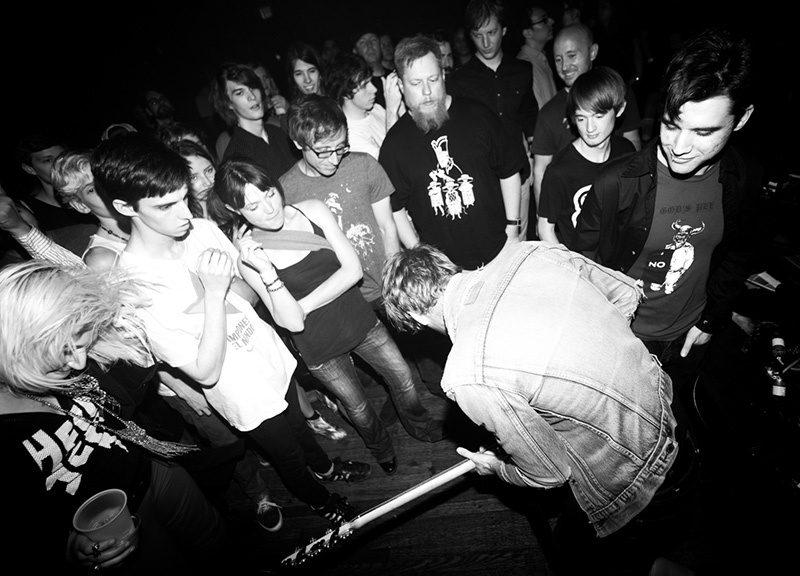 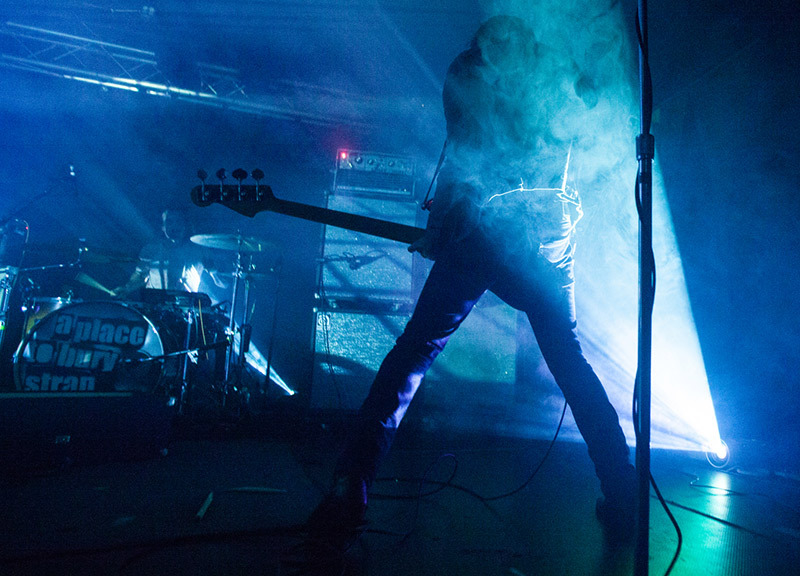 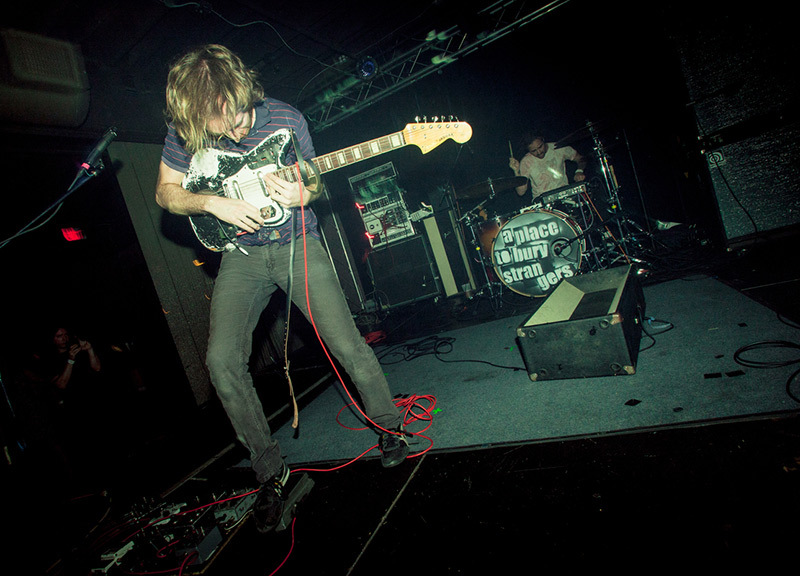 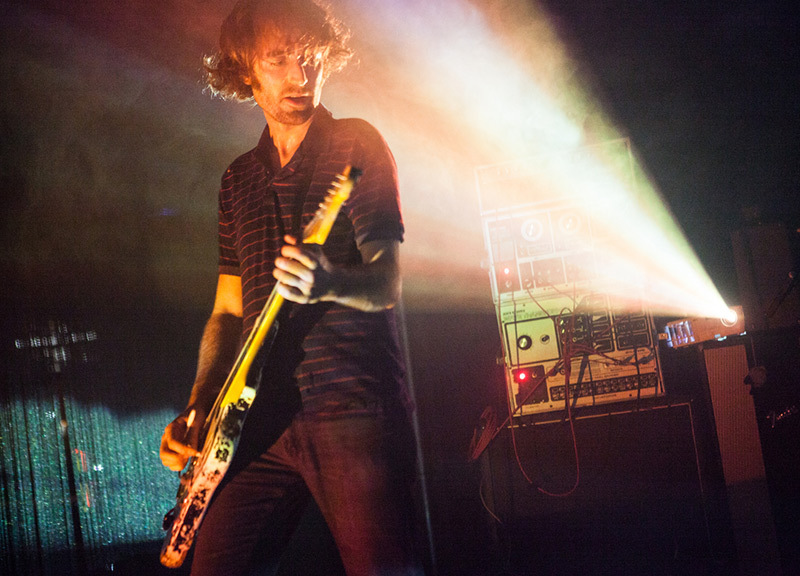 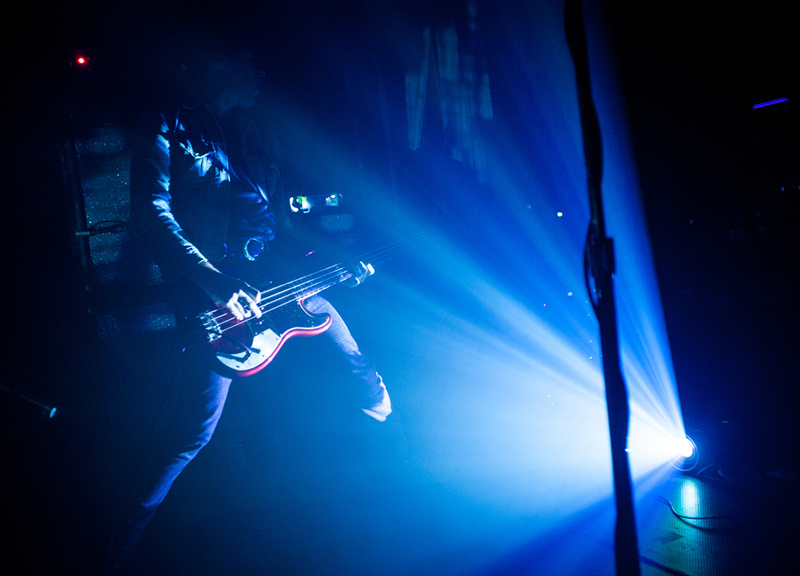 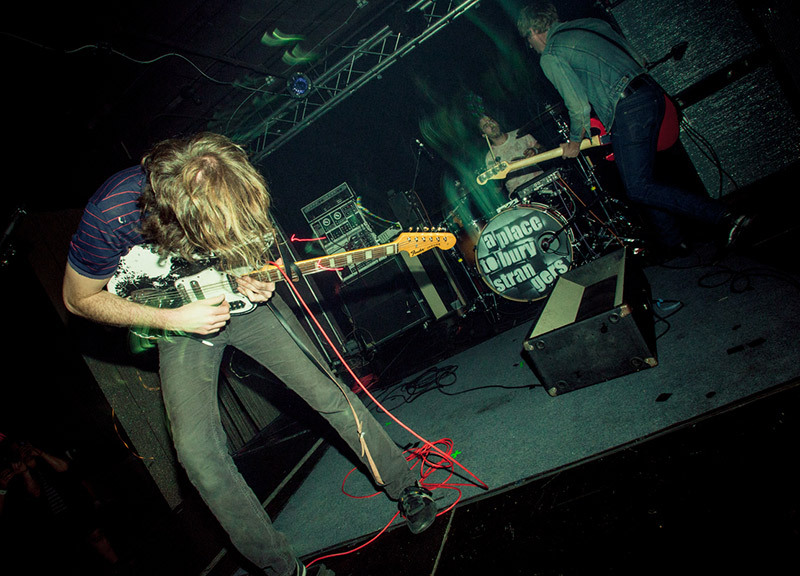 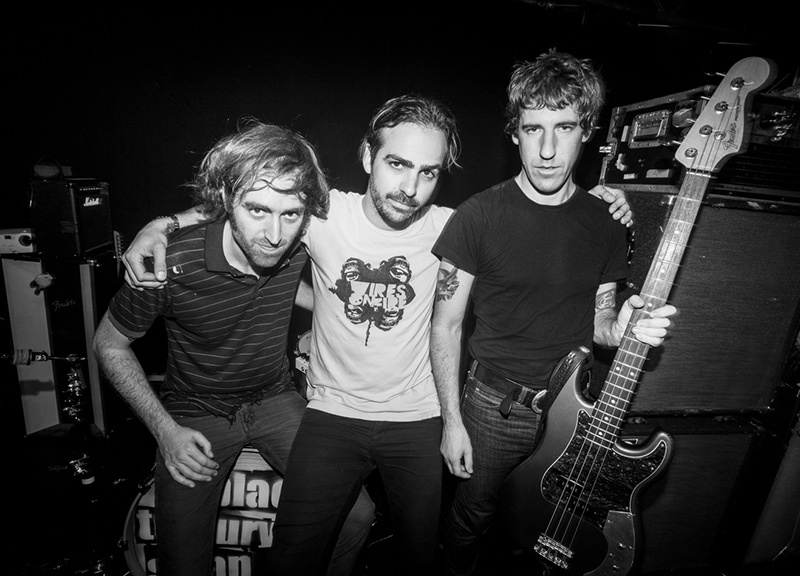 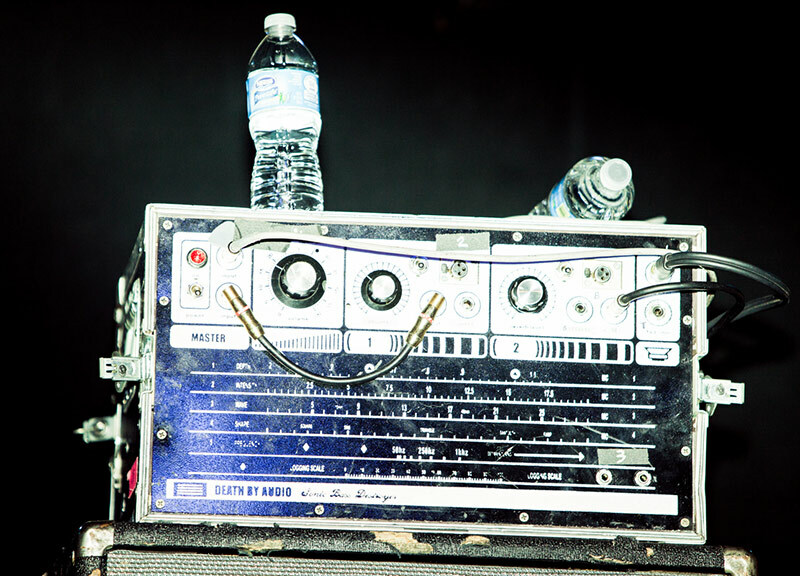 Scenes From Last Night's A Place To Bury Strangers Show at The Loft. 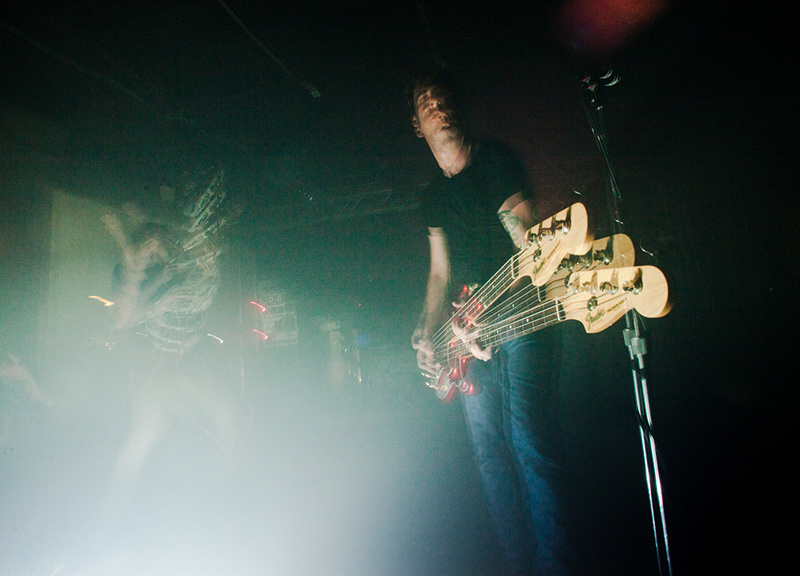 Lest anyone was uncertain that last night's performance at The Loft from Brooklyn trio A Place To Bury Strangers would to be a loud affair, the band offered up a surefire warning of this much over at their merch table: There, among the standard albums and T-shirts, the band was also selling branded earplugs. 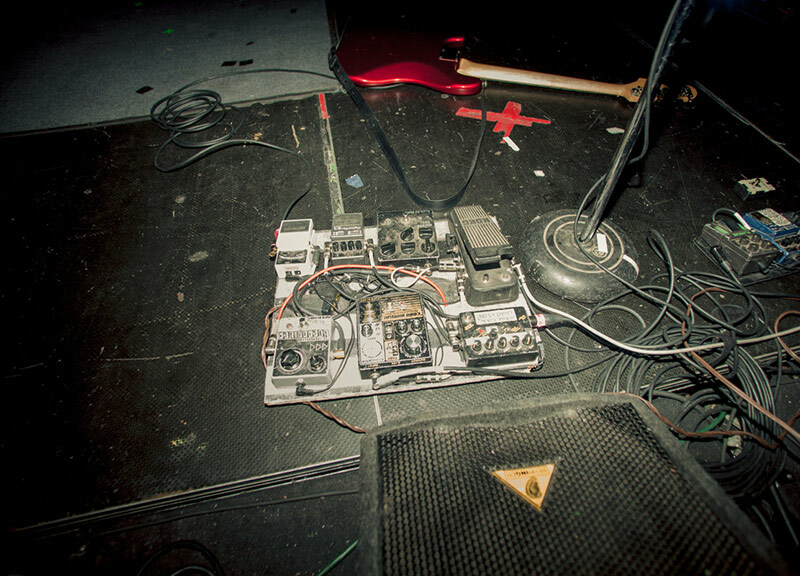 And that was just the start of the customized arrangement A Place To Bury Strangers had at this show. 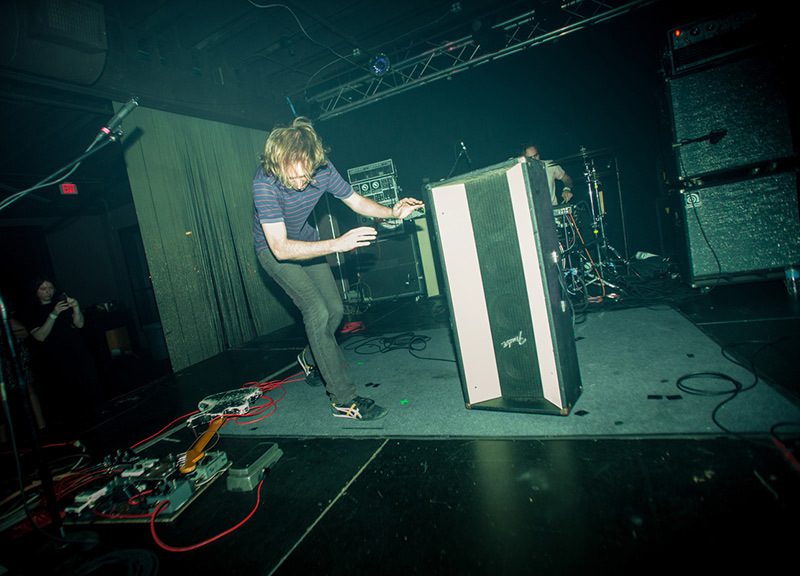 They also brought with them their own custom-built amps — equipment that ensured that their token, massively loud wall of sound would, indeed, be as ear-splitting as their reputation indicates it as being. 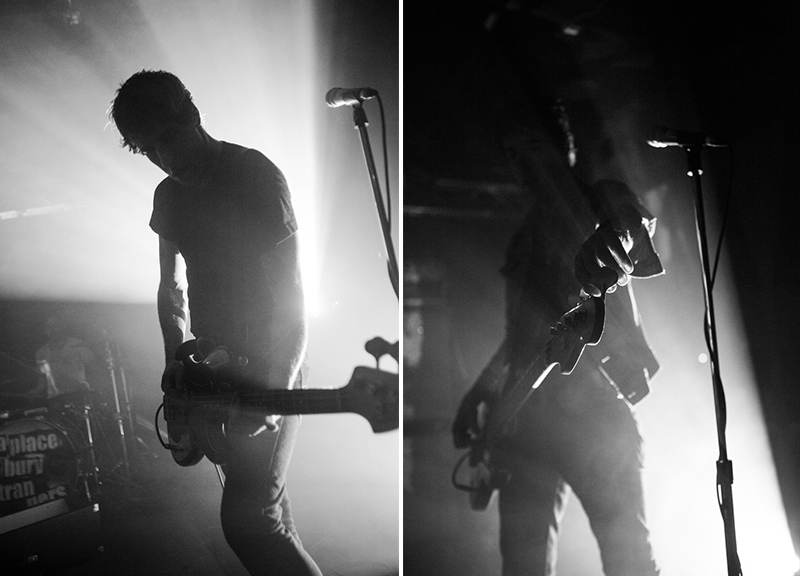 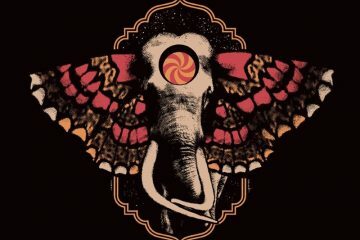 In fact, seemingly everything about this show spoke to the band's intent to sonically destroy everything in their paths. 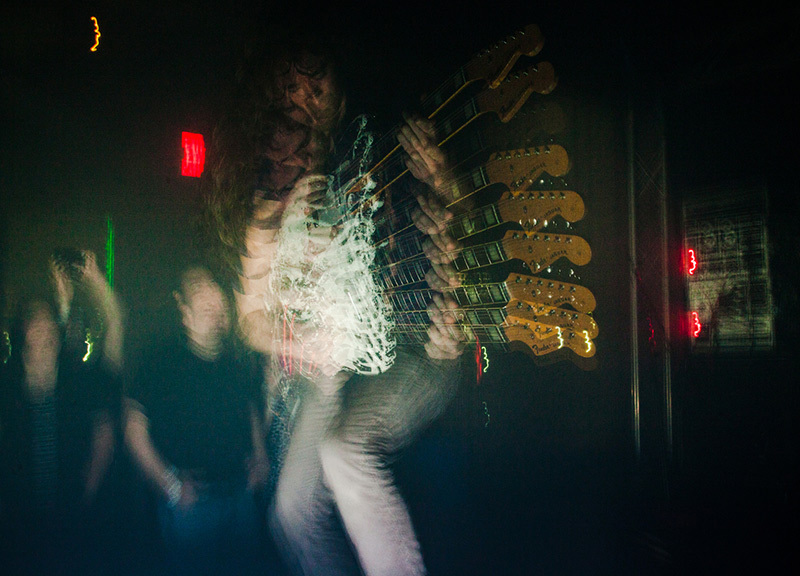 And, for a good hour, the band did just that last night, offering up a face-melting performance to go with their sonic blast. 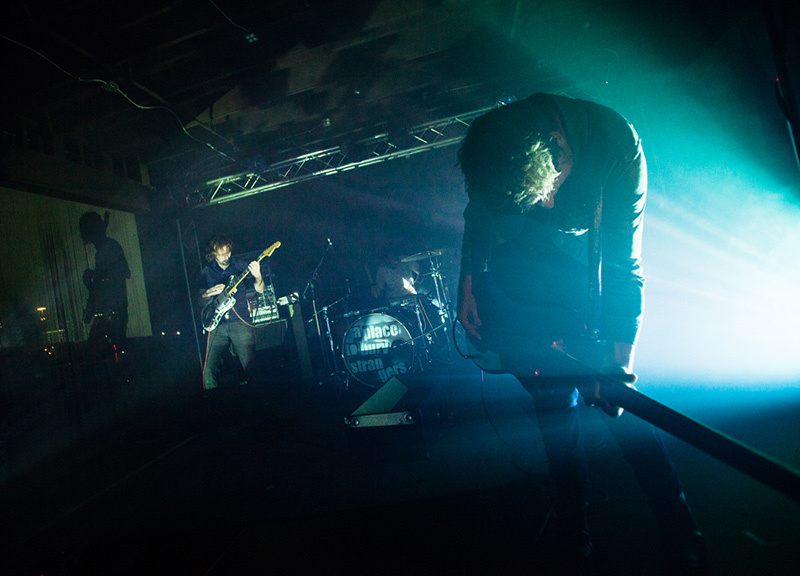 The visuals, we should note, were meant to spellbind as well — and never more so than towards the very end of the band's performance. 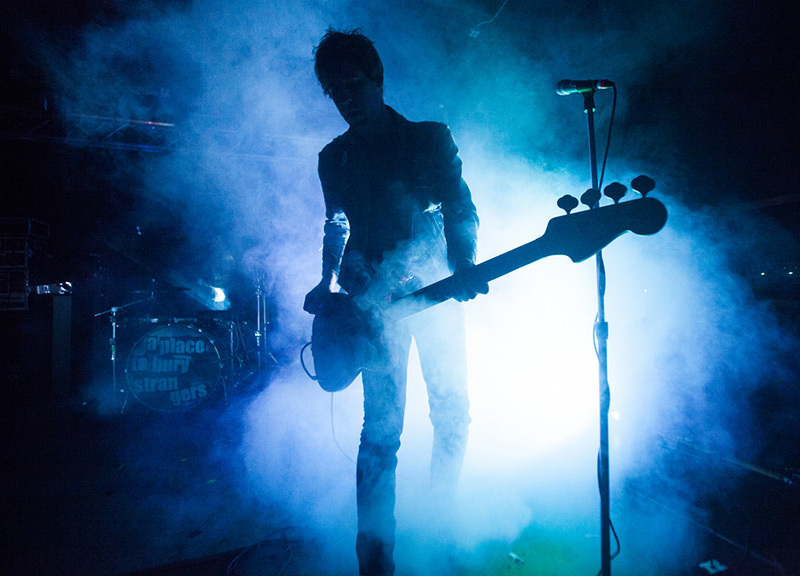 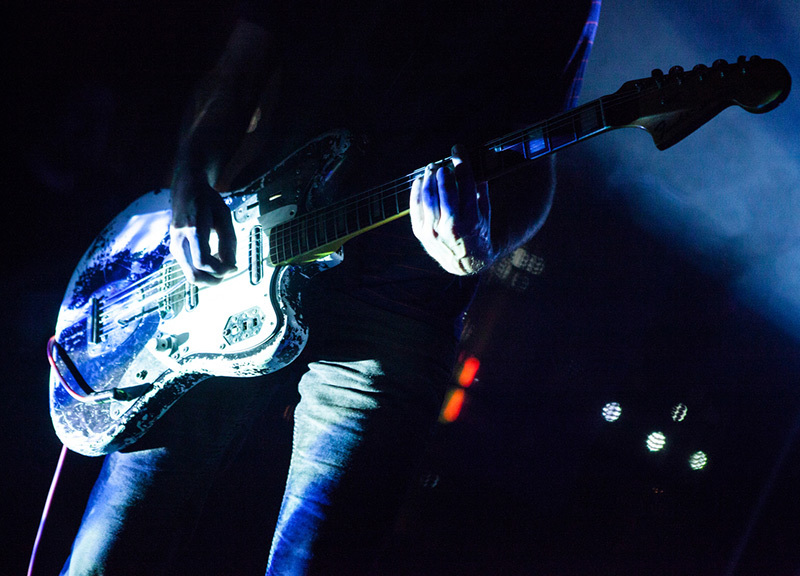 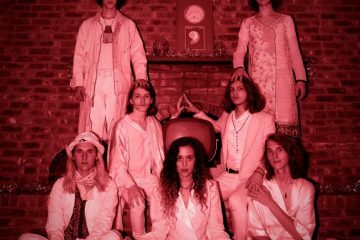 After spending most of their set awash in projections and clouds of smoke, frontman and guitarist Oliver Ackermann would change things up toward the end of his band's set, cutting all of those light sources and turning on a blinding strobe light instead. 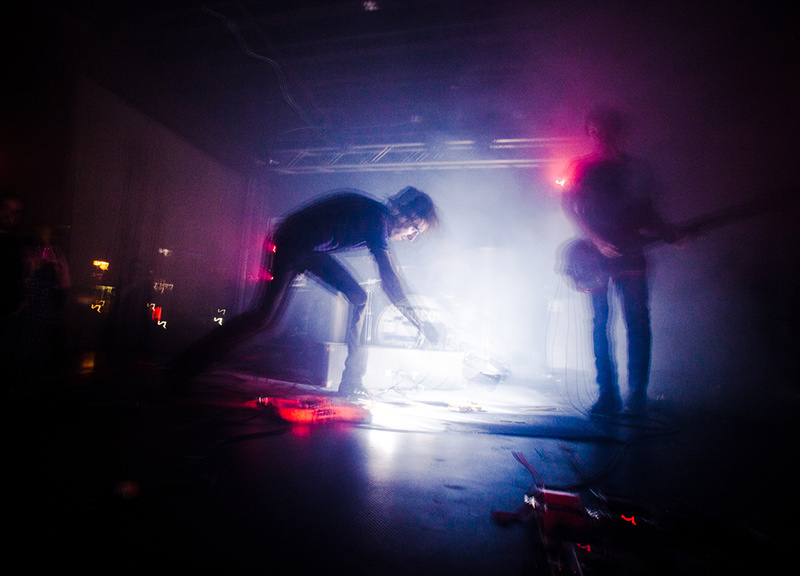 It was a trippy, epileptic close to a set from a band that very much lives up to its reputation.